I got some new cookbooks on vacation, and am having a lot of fun trying out some new things for the family. 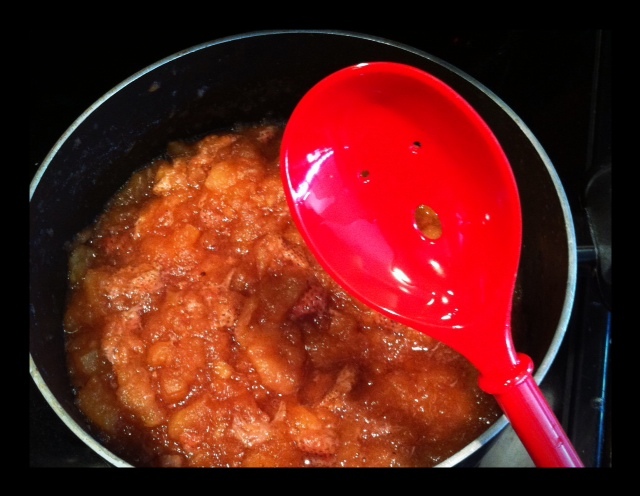 Today I made one of the kid’s favorites, homemade applesauce… just in time for lunch! But this was slightly different with some yummy strawberries and it smelled like a nice fall morning, cookin’ on the stove, all through school! 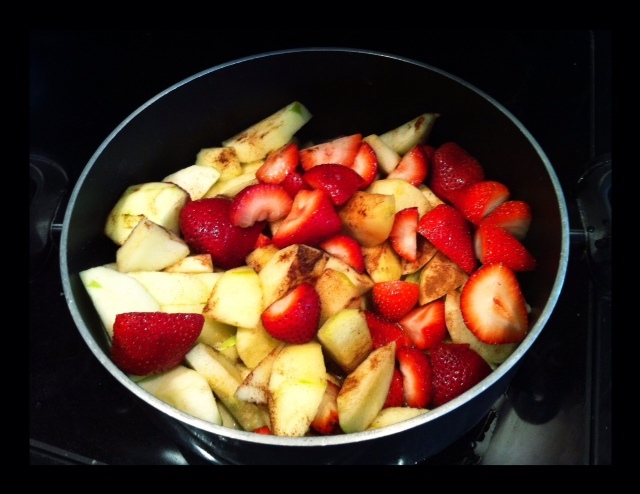 In a large pot, bring apples, berries and water to a boil. Stir in maple syrup, reduce heat, and cook over very low heat until fruit is soft. About 30-45 minutes. Add spices, vanilla and lemon juice. Leave it chunky or pureed in a food processor until smooth. ** Today I ask you to join me in prayer for a man named Mike – having surgery today from 1:30pm CST to 6:30 CST – to remove part of his colon, and tumors – after being diagnosed with colon cancer just a few weeks ago. Pray things go smoothly during the surgery, the tumors are removed, and for healing of his body after the chemo-bath they are treating the area with. Also, please pray for his wife, 5 small children, and family and friends who need your comfort throughout this trial. Posted on August 17, 2012, in Celiac/Gluten Sensitivity, Cook Books, Food To Try and tagged Gluten Free Applesauce, healthy for him, healthyforhim, homemade applesauce, Strawberry Applesauce. Bookmark the permalink. Leave a comment.